We, at Manav Rachna, believe in instilling the sense of belongingness and appreciation towards Indian culture, Indian religious festivals and national festivals. 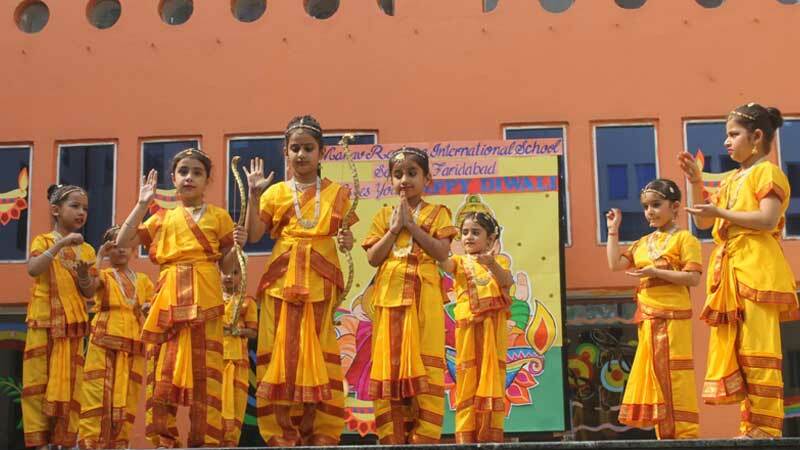 Students of MRIS-21C celebrated Diwali in a unique way, wherein they enacted Ramayan through dance drama and nursery presented enchanting dance, completely coinciding with the day-to-day life, making connect and explaining them how to imbibe it in their life. Shubham Gandhi recited Poem on Diwali which was written by his mother Ms. Jyotsana Gandhi. 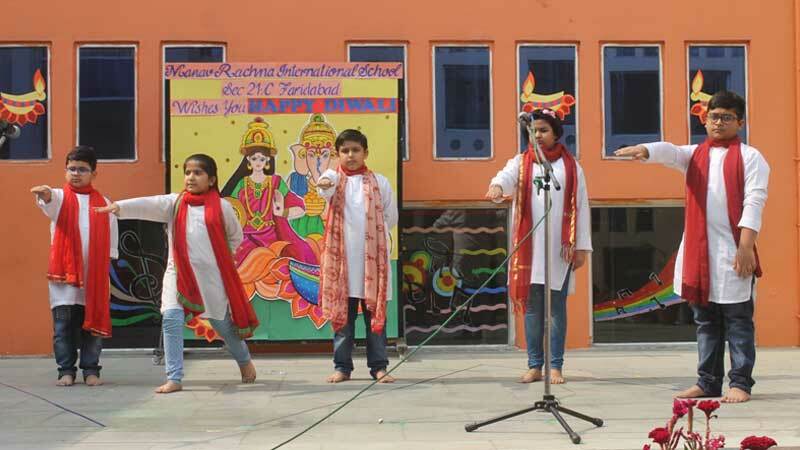 Students of Grade-V also presented Nukkad Natak to give the message of saving environment by not bursting crackers this Diwali. Pledge to celebrate green, pollution free Diwali was also taken by everyone present there. They all promised each other to make someone’s Diwali special through the on-going fervor of Joy of Giving. The ambience exuded lot of warmth and love in the air from the enthusiastic children. The day ended with blessings and wishes for Diwali from the teachers.